In yesterday's Telegraph, Ferdinand Mount wrote that "the old abysses separating the Conservatives from the Liberal Democrats have narrowed or virtually disappeared". He suggested that a "fresh axis" might establish itself, between the two parties. Mr Mount noted recent parliamentary Tory/LibDem co-belligerence against the 90-day detention plan and, just last week, against Labour's amnesty for on-the-run IRA terrorists. He also stressed both parties' interest in localism. Mr Mount ends his piece by suggesting that a blue-yellow coalition after the next General Election might present a better option to the LibDems than "the alternative of propping up an exhausted and discredited Labour administration". 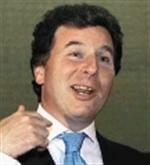 On Kyoto where Oliver Letwin is co-operating with LibDem Norman Smith. On civil liberties where David Davis has been at one with LibDems on such issues as detention without trial. Cannabis where David Cameron's more liberal position is close to that of Charles Kennedy. Europe. The Orange Book Liberals (Oaten, Cable, Webb, Laws etc) are pushing the party to a more "realistic" position following the problems of the eurozone and the French/Dutch rejection of the Constitution. On tax the LibDems have refined their policies and are now suggesting that the overall tax burden should (probably) not rise overall. Attitudes to marriage and the family where the Liberals remain wedded to the ideas of sixties socialism.